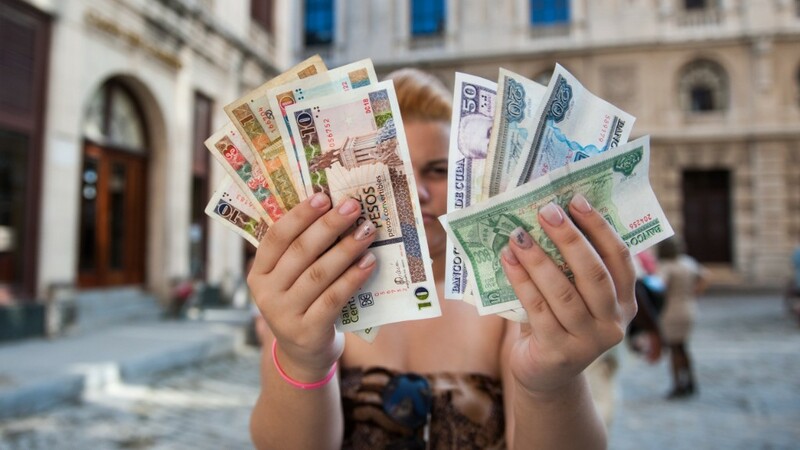 Did you know Cuba has two currencies? StartUp Cuba, a newly formed Miami-based initiative, wants to bring startup basics to Cubans. While the U.S. is crowded with accelerators and small business professionals, Cuba is another story. In 2010, it loosened restrictions on non-government owned businesses in a move to privatize more of its industry. But it's still a Communist country. The education system in Cuba is state controlled, which means there's little institutional knowledge of how to run a small business. Not to mention there's very limited access to outside resources -- as few as 5% of Cubans have Internet access. "There's roughly 500,000 legalized entrepreneurs in Cuba, but the amount of training available falls way short of what would be useful," said Richard Feinberg, a senior fellow at Brookings Institution. That's where StartUp Cuba will step in: to provide business education, ethical training and fellowship opportunities in the U.S. for Cuban entrepreneurs. "It's our duty as Cubans to help out our counterparts that don't have the same opportunities that we have," said Alberto R. Tornés, a Cuban American who's a director at StartUp Cuba. Tornés said lack of resources -- ranging from information about competitors to mentors -- is the single biggest issue facing aspiring Cuban entrepreneurs. StartUp Cuba, which launched in November 2014, will offer two types of programs this year: A U.S. fellowship for roughly 10 Cubans with established businesses, and a workshop-style program in Cuba. The fellowship will give entrepreneurs the opportunity to come to the U.S. for a one-month immersion, receiving one-on-one mentoring and taking classes. The second offering will be similar to a 2013 pilot program run by Miami-based nonprofit Roots of Hope, StartUp Cuba's parent organization. During the pilot, students took courses on everything from market analysis to crafting business plans. Of the 28 graduates, 70% were women and the average age was 30; their businesses primarily focused on goods and services, according to Tornés. Because of security concerns, the pilot program ran under the radar. StartUp Cuba will continue to operate stealthily. "The Cuban government has been very reluctant to allow in foreign educational programs," said Feinberg. "Let's see if that changes with Obama." President Obama vowed to ease trade restrictions on Cuba in December 2014, and this may eventually improve U.S.-Cuba relations. But for organizations like StartUp Cuba, not much has changed yet. "In the eyes of the Cuban government, we're still an organization based out of Miami -- funded by Cubans that left the Island, the children of political exile," said Tornés, who has lived in the U.S. for 10 years and hasn't been back to Cuba since. "[The government doesn't] reject our presence, but we're not completely welcomed with open arms," he said. Despite obvious ties, they're still outsiders to the Cuban government. During the pilot program, on-the-ground partners hired and trained instructors to lead the evening courses. Tornés said they relied on friends and family traveling to and from Cuba to bring over supplies like workbooks. The instructors utilized USB drives to share case studies and files with students (since they don't require WiFi). They'll take a similar approach this year. "We hope that eventually we can operate with a lot more transparency," added Tornés.